Added a failsafe for a few rare items which fail the location checks for unknown reasons. 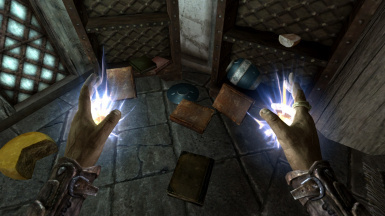 The 'Wreak Havoc' spell sends all the clutter around you flying through the room. 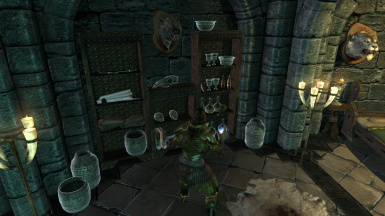 The unique 'Clean Up' spell will clean up the mess again and move all the items back where they belong. 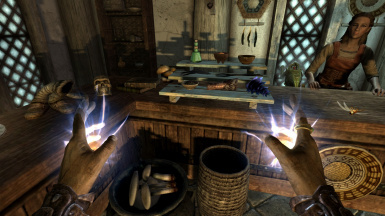 These spells won't help you against the dragons but you can use the 'Clean Up' spell around your house to tidy up after a dragon attack or use 'Wreak Havoc' to cause some trouble in other people's stores/houses without the risk of killing anyone. 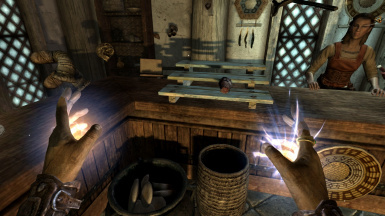 Both spells are available from Farengar in Dragonreach ( Whiterun ). Note: Chaos has the advantage. 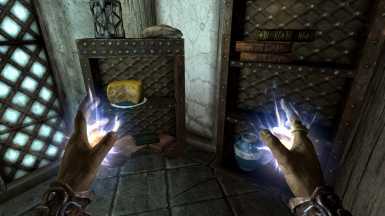 The 'Wreak Havoc' spell works instantly and can affect any number of objects. 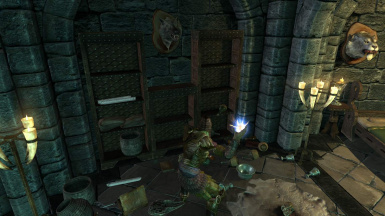 There are also numerous other chaotic spells and shouts already in the game. Cleaning up is a little bit more tedious. You might have to cast the 'Clean up' spell multiple times to undo the chaos completely (depends on your Alteration skill level). Still that's much more comfortable than grabbing each individual object and moving it back into place by hand.